Hello, people of the Internet! Did you notice anything going around this morning on the lovely world wide web? Maybe something... scandalous? I'm talking about the new Fifty Shades of Grey trailer, of course! People are really going wild over it. (I'm guessing a lot of these people are those ladies I sat next to on the subway only to realize they were reading Fifty Shades on their Kindles.) As someone who didn't read the books — gasp in shock or applaud me all you want — I don't exactly see the appeal. I mean, when she goes to meet Mr. Grey in the office, it seems like Batman should turn around. What kind of real person is introduced like that? And is his office the entire floor of a building? I don't get it. But, does this mean that I do not get the appeal of the film's star Jamie Dornan? Not at all. It's just that my crush on Jamie Dornan occurred many years ago when he was the Swedish soldier in Sofia Coppola's Marie Antoinette and I intend to keep it that way. These days, I'm a 25-year-old in a relationship, but back then I was 17 and all, "Omg! I wish I was having a crazy all night party in old timey clothes with The Strokes playing in the background even though it's the 18th century and then running off to fall in love with a soldier who somehow pulls off a weird wig!" And that, my friends, is how a movie crush should be. I'm not saying there's anything wrong with being totally stoked about Christian Grey and the fact that he's portrayed by Jamie Dornan (sorry for the millionth time, Charlie Hunnam fans), but I will always remember Dornan from Marie Antoinette. And I'm sure many people who were young, impressionable, and obsessed with the idea of one day going to a masquerade ball and drinking champagne with raspberries in it agree with me. 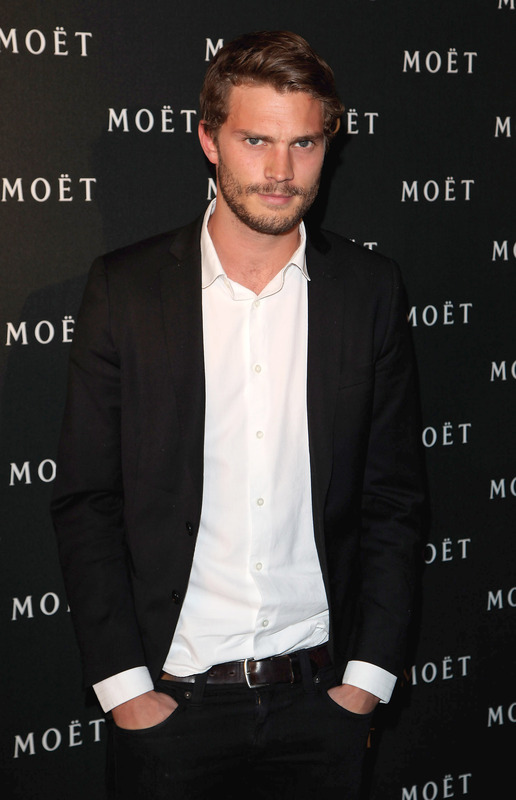 Want proof that my choice Dornan is the right Dornan? Here he is hanging out with Marie Antoinette in the grass after she was all, "I'm getting back you nature, you guys. Now ship me in a bunch of lambs! I'm running France into the ground!" Here he is at another party with Rose Byrne. Lots of parties in this movie. Here he is with Marie Antoinette after she totally cheated on Louis XVI (aka Jason Schwartzman because this was a Sofia Coppola movie after all). And here he is getting back into his 18th century garb afterwards. So, everyone, you can have your Jamie Dornan as Christian Grey crushes all you want, but Jamie Dornan as sneaky Swedish affair guy will always live on in my 17-year-old heart.